According to the General Aviation Manufacturers Association (GAMA), in the first quarter of 2018, manufacturers reported both higher deliveries and higher revenues than in the same quarter in 2017. Fixed-wing general aviation aircraft manufacturers delivered 447 aircraft worldwide in Q1 2018, up 2.8 percent from 435 in Q1 2017. 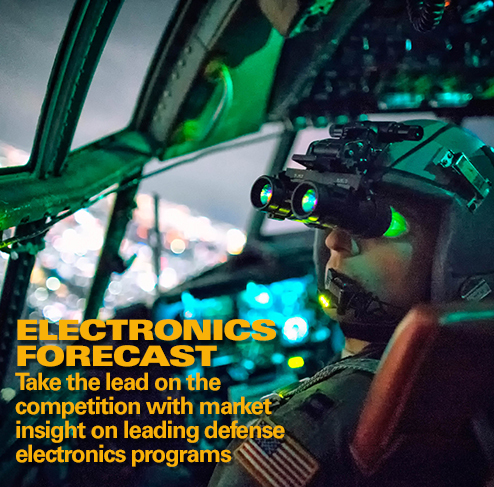 Revenues increased 3.3 percent to $3.8 billion, mainly due to higher revenues reported by Bombardier, Textron, and several smaller manufacturers. 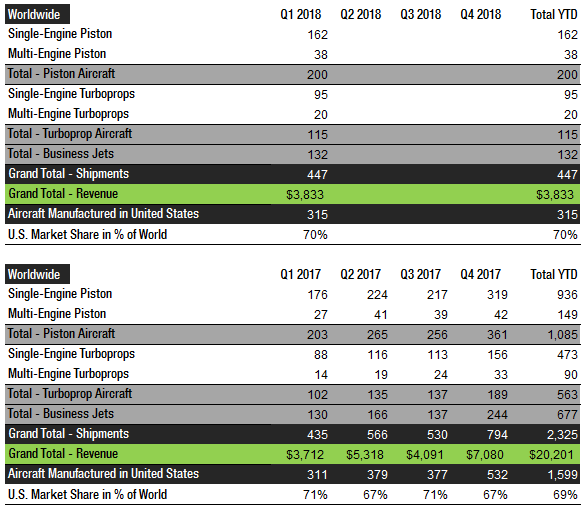 U.S. manufacturers delivered 315 aircraft in Q1 2018, up from 311 in Q1 2017 – a 1.3 percent increase. U.S. manufacturers accounted for 70 percent of worldwide shipments in the first quarter, down from 71 percent in Q1 2017. 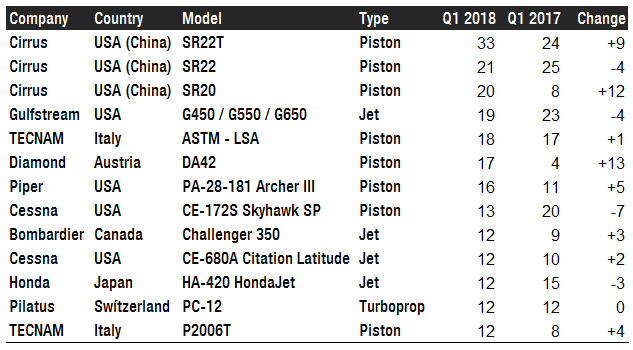 In Q1 2018, for the fourth consecutive quarter, the Cirrus SR22T (piston) was the most popular fixed-wing general aviation aircraft with 33 units delivered (+9 from Q1 17). 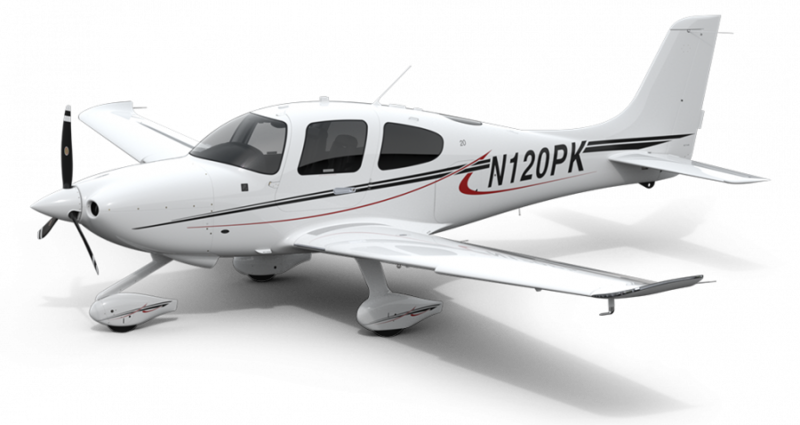 The Cirrus SR22 (piston) took second place with 21 shipments – down from 25 in Q1 2017, followed by the Cirrus SR20 with 20 units delivered – up from just eight in Q1 2017. In fourth place is Gulfstream’s G550 / G650 large business jet variants, ahead of Tecnam’s ASTM – LSA (piston), the Diamond DA42 (piston), the Piper PA-28-181 Archer III (piston), Cessna’s CE-172S Skyhawk SP (piston), Bombardier’s Challenger 350 (jet), and the Cessna CE-680A Citation Latitude (jet). When general aviation aircraft manufacturers are ranked by revenues, the business jet manufacturers take the lead. Gulfstream boasted the highest revenue of all fixed-wing aircraft manufacturers in Q1 2018 with total sales of $1.4 billion, down 12.9 percent from the same period last year. Gulfstream has been the world’s largest general aviation aircraft manufacturer by revenue since 2013. In second place is Bombardier (No. 1 in 2012) with Q1 2018 sales of $1.2 billion, up 17.0 percent from Q1 2017. Textron Aviation (Cessna + Beechcraft) is the overall leader by units sold but only ranks third by revenue, with $579 million in Q1 2018 – up from $516 million in the first quarter last year. 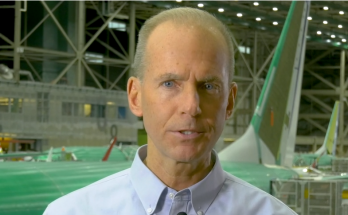 It is worth mentioning that both Cirrus Aircraft and Piper had very strong first quarters, with year-over-year sales up 81 percent and 77 percent, respectively, following a surge in shipments. Cirrus’ revenues also benefited from 10 deliveries of the company’s SF50 Vision Jet, a single-engine, seven-seat, very light jet aircraft first delivered in December 2016. Embraer had a weak first quarter, with sales values down 44 percent. In Q1 2018, the company delivered 11 jets, down from 15 in the first quarter last year. On February 7, 2018, Swiss manufacturer Pilatus delivered its first ever PC-24 business jet, and a sharp increase in revenues for the company can be expected in 2018. In Q1 2018, Pilatus’ revenues were up 33 percent year-over-year. Fractional ownership provider PlaneSense took delivery of the first PC-24, and a total of two PC-24s were delivered in Q1 2018. With the HA-420, Honda has secured a position among the top 10 general aviation aircraft manufacturers. In the coming years, a number of new large jets will enter the market, including Bombardier’s Global 7000 / Global 8000 and Dassault’s Falcon 8X. With these product launches, Bombardier and Dassault aim to take market shares from Gulfstream’s G650 and G650ER. The recession from December 2007 to June 2009 had a massive impact on the general aviation aircraft manufacturing industry as sales of business jets and piston-engine aircraft collapsed. As of 2017, they were not even close to their 2007 peak levels. 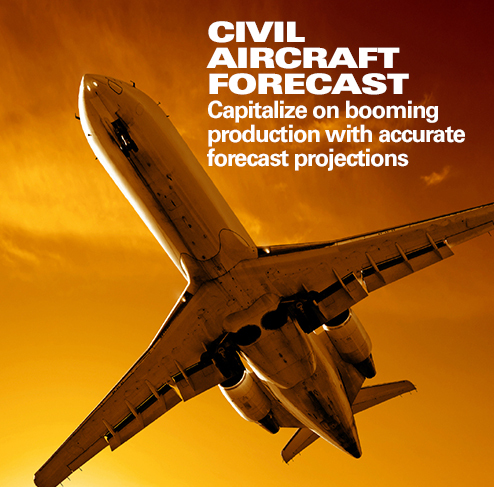 From 2007-2010, the global production of general aviation aircraft dropped a staggering 52.8 percent – from 4,276 aircraft in 2007 to 2,020 in 2010. In the United States, manufacturers experienced a 59.3 percent drop in production – from 3,279 to 1,334 units over the same period. An important reason why deliveries of general aviation aircraft are still way below their 2007 peak levels, both worldwide and in the U.S., is that the price per aircraft has doubled. From 2007 to 2017, the average price of a piston-engine aircraft, which is the most common type, soared from $328,000 to $662,000. That increase is keeping many would-be buyers out of the market. Also, the average price of a business jet rose from $12.5 million to $26.6 million over the same period. At the same time, the average price of turboprops declined from $3.5 million to $2.6 million, resulting in a surge in shipments of this type of aircraft. 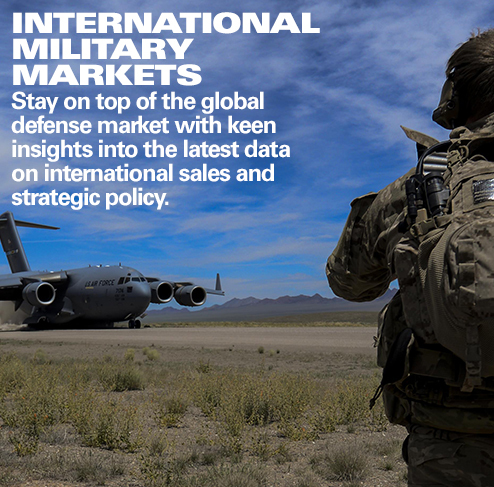 The market for general aviation aircraft is highly cyclical, and the small business jet and piston-engine aircraft segments in particular suffer in a down economy. Perhaps a surprise to some, the large business jet segment emerged unscathed from the 2007-2009 recession.